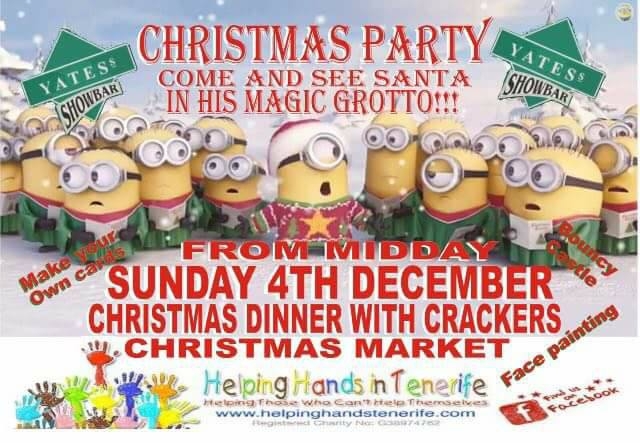 Come along to the Yates Show Bar - Playa de las Américas and visit Santa with your little ones. There will be Christmas dinner with crackers and lots of entertainment. Even a bouncy castle for the little ones, face painting & fun creating Xmas cards, stalls and much more.... it's going to be a great day ... Ho Ho Ho !! !